For many, safety and protective work footwear are a necessary and important part of everyday life. Most workers spend long hours on their feet in their safety and work shoes. Therefore, it is essential to find just the right pair. 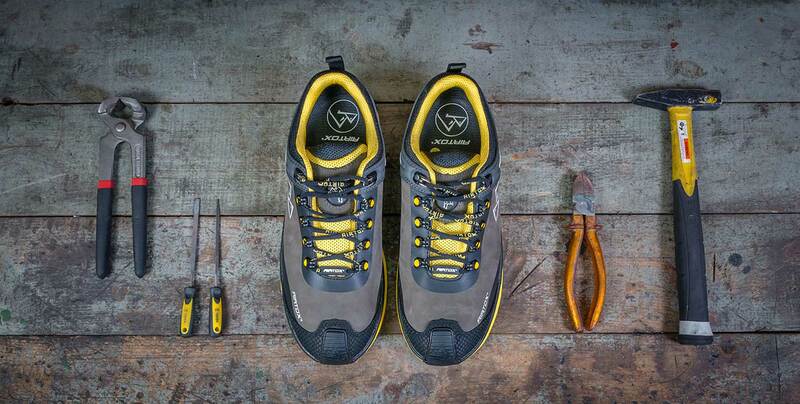 Luckily, we have created a series of articles to assist you on what to remember when picking out and buying the perfect pair of long-lasting safety and work shoes. Today, there are a lot of different brands producing safety and work shoes in all shapes and sizes. Therefore, it can be a jungle trying to find out which pair is the best for you. But what should you be aware of when buying new shoes to ensure that you find the right pair the first time? A widely used but very true cliché is that when your feet feel good, you feel good. You wear the shoes 8 or more hours every day, week after week – it is no secret that comfort is key. It is essential that your footwear fits and supports your feet perfectly. and that you can bear wearing your shoes for most of your waking hours. Of course, it doesn’t mean you should forget about the safety. Safety is just as important as comfort (if not more! ), as your shoes must live up to the regulations of your workplace. Therefore, always buy safety and work shoes that are comfortable and meet your safety needs. And never sacrifice comfort or safety for fashion, because fashion alone will not protect your feet or make them feel good. To invest in a pair of comfortable footwear is an investment in your health though. With the perfect pair, your body will not get worn down in the same way as with a pair of ill-fitting shoes. No matter the budget, the most important factor when buying safety and work footwear is that your feet fit the shoe (and vice versa). You should never compromise on comfort or safety, just because the shoe is cheap. Especially with work shoes, your health and well-being are vital to your ability to perform on the job. Foot size and shape can change over time. Therefore, you should never rely on a certain size just because it usually fits you, as that size may no longer be the best fit. Size often depends on the brand, so always try on the shoes before you buy. If you are ordering online you must measure your feet to ensure that you are buying the right size the first time. By knowing the length of your feet, you can by checking out the size guide of the shoe (if available) see what size that aligns with the measurement of your feet. When measuring your feet remember to measure both feet, as one foot is often larger than the other. The shoe shall always fit your larger foot. Also, remember to measure your feet at the end of the day, as feet often swell during the day after hours of standing or sitting. The shoe should not only fit perfectly and be comfortable in the morning but throughout the entire day. Size is very important, as the right size delivers better comfort and helps with your posture and the prevention of pain in the back and joints. Shoes need to fit properly. Without the proper fit, your feet will easily get fatigued and potentially create blisters. When it comes to safety and work shoes, people often tend to buy a size bigger to make sure there is enough room. But remember that shoes should neither be too big or too small. There must be just enough space for you to be able to wiggle your toes in all directions, when wearing the shoes. Though make sure that there is not too much space, as this will result in an ill-fit. 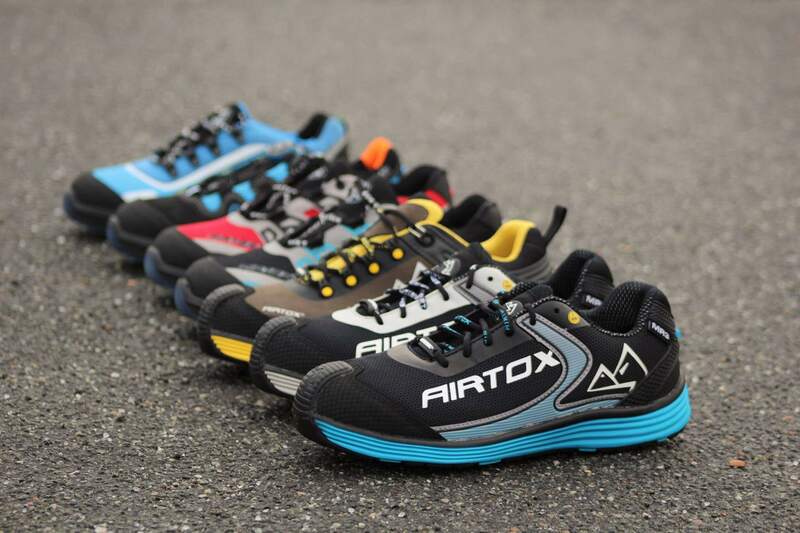 Just as with size, the fit of the shoe also varies according to different models and brands. It is, therefore, an absolute must to try on several pairs of shoes and different models to ensure that you have found a proper fit that suits your feet. Another reason why you should try on several models is that you are then able to compare different fits. You cannot find the perfect fit unless you have something to compare against. Being able to compare can ensure you that your chosen fit is the best for your feet. Always stand and walk around in several shoes to find out whether it is comfortable, fits well and does not rub or irritate anywhere. It can take time to choose the perfect pair – do not rush it. Remember that your feet are unique and that you are the only one who can feel which pair of safety or work shoes that are the comfiest and will work the best for you. The shoes should not force your foot to conform to the shape – instead, the shoes should conform to the natural shape of your foot. If the fit is not suitable for your feet, you will quickly get disturbed by it – as your feet will show signs of irritation and create blisters. Ill-fitting work and safety shoes are a serious matter, as they often can cause injuries and other foot problems. A comfortable pair of shoes that fits your feet will benefit you and your body in both the short and long run, as it eases your feet from the constant load they are exposed to. When trying on shoes, try to create a setting that closely represents work-like conditions, as it will give you the best prerequisites for finding the best pair of shoes. For example, you should wear your regular work socks when trying on shoes. If you try on shoes with socks that are too thick compared to your work socks, the shoe will be too big and if you try on the shoes with socks that are too thin compared to your regular work socks, the shoe will be too small. It is, therefore, a good idea to wear a pair of your regular work socks when trying on shoes or measuring your feet (especially when buying shoes online). Also, you should try on shoes at the end of the day, as feet often swell during the workday. By trying shoes on at the end of the day and by wearing your regular work socks, you create a setting that closely represents work-like conditions which ensures that the shoe is truly comfortable throughout the whole day. One last thing to remember is to move and walk around on different surfaces with the shoes on your feet to simulate work-like movement and activity. The shoe must not rub or irritate when moving around, as it is what you do most of the day. If the shoes rub or irritate, it is a clear sign of an ill-fit. As pointed out earlier, safety combined with comfort is key when buying safety and work shoes. It is therefore first and foremost important to know what kind of work conditions your new pair of safety or work shoes should withstand. When talking safety and work footwear, the shoes do of course need to fit the person – safety and comfort before everything else! – but also the purpose. Therefore, you need to know the needs and risks of your work environment. You can always ask your employer if in doubt. 1. Do you know all the potential features and characteristics? You must know, before trying on different models, whether your shoes are required to have these particular features. Once you know all the possible features, the simplest way to be sure not to be wrong when buying your new pair of shoes is to check which safety standards are required in your specific profession. Starting from that, you can then verify that your new shoes apply to them.